Author: Sinisalo, Johanna Set In . . . This internationally acclaimed winner of the Finlandia Award is “a brilliant and dark parable about the fluid boundaries between human and animal” (The Boston Globe). Angel, a young photographer, comes home from a night of carousing to find a group of drunken teenagers in the courtyard of his apartment building, taunting a wounded, helpless young troll. He takes it in, not suspecting the dramatic consequences of this decision. What does one do with a troll in the city? 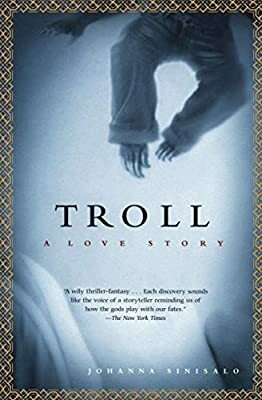 As the troll’s presence influences Angel’s life in ways he could never have predicted, it becomes clear that the creature is the familiar of man’s most forbidden feelings. A novel of sparkling originality, Troll is a wry, beguiling story of nature and man’s relationship to wild things, and of the dark power of the wildness in ourselves.